How can I reuse or recycle soot? | How can I recycle this? 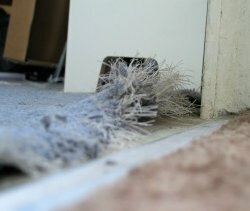 How can I reuse or recycle soot? 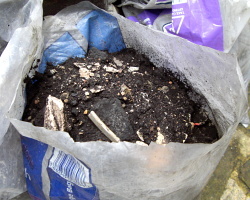 A bit of a weird one but we’ve opened up an old, long closed chimney recently and now have bags and bags of old soot. At the moment, it’s earmarked as filler where we’re levelling up a drastically sloped bit of the garden – all the rubble and stuff we’re generating at the moment will go in there as misc filler – but I wonder if there is anything else that can be done with it instead of just being bulk. Any other garden or household reuses for it? Any better alternatives to being misc filler? Anything used as fertiliser you’re unlikely to have too much of. See how far it goes once you start spreading it on your soil – you’ll probably get through more of it than you think! If it needs to “weather” before veg can use it, try just putting it on top of the soil without digging it in – should help stop slugs better, and will break down properly before it reaches the plant roots. Soot can also be made (at home) into an alkaline based product for breaking down cellulose fibers–for home papermaking! Soot is an ingredient in making ink; check online for recipes. I haven’t made any myself. paper, then use “homemade Chinese black ink” to draw the outlines for their own custom coloring books. we have a open fire that is used every day in winter using coal, we clean the chimney every 6 months and end up with a large amount of soot what can we use it for and if not can we recycle it.